120-year old Scottish Golf Club set to close in December. Sad news from Scotland this week, that one of the oldest golf clubs in Ayrshire was on the brink of closure. 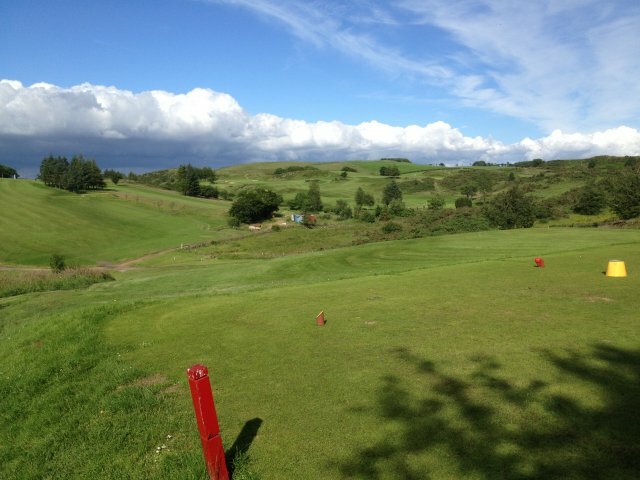 According to The Golf Business (UK) website, the Beith Golf Club has suffered a dramatic decline in membership and will be wound up in December as remaining members are unable to maintain its operating losses. The news comes on the heels of an urgent plea from Scottish Golf, the game’s governing body in Scotland, to more than double affiliation fees paid by club members in the country in order to allow it to “deliver a new direction…and provide greater opportunity for investment and growth to support our clubs and players at all levels”. 19 golf venues closed in Scotland last year, and membership dropped to around 192,000. How increasing affiliation fees can help save modest clubs like Beith is unclear, but it does seem that in Scotland, like Australia, governing bodies might be better off planning for lower operating budgets into the future, rather than excessive fee hikes. One of the oldest golf clubs in Ayrshire is to close down before Christmas due to a decline in membership numbers in recent years. The demise of Beith Golf Club coincides with a call by Scottish Golf to more than double affiliation fees paid by golf club members so it can invest in the game in Scotland. Members of the club, which was established in 1896, voted to wind it up in early December and the club has informed the Ayrshire Golf Association of their decision, according to the Ardrossan & Saltcoats Herald. ‘[The club] has suffered a decline in membership in recent years, to the point where the membership were not in a position to guarantee future losses,’ states the paper. The closure comes just 22 years after the nine-hole venue was extended to 18 holes. Beith Councillor Reid said: “It is obviously regrettable that an organisation with such a wayward history is winding up. They have such a long and distinguished reputation and have such a long history. People are worried about losing their jobs, or finding it difficult to make ends meet. “When you have to make cuts in the household it’s things like football club season tickets or golf memberships that go. Because there are sufficient funds for the club to meet their debts this is the time to act rather than when they dip into the red. They are doing that to protect the committee members. “I have heard they might go back to a nine-hole course as they were previously, if they could get enough people to sign up and that would reduce the cost. All golf clubs are struggling because of job insecurity. If your costs outweigh your income you have a problem. Earlier this month the CEO of Scottish Golf, Blane Dodds, said the governing body urgently needed extra funds in order for it to grow the game in Scotland, which in turn could safeguard other golf clubs from closing down.